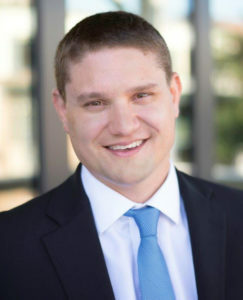 Bryan R. Cherry is a Senior Associate of PinPoint Results LLC. Specializing in health care, not-for-profit, technology and transportation issues, Bryan effectively leverages his state agency and legislative experience and relationships on behalf of clients. Working within the legislative and political arena for more than 12 years, Bryan has a solid understanding of diverse industry interests, business development strategies, agency functions and procurement processes, and an in-depth knowledge of key state and local policy and appropriations issues across a multitude of industries. In addition to his government affairs work at the state level, Bryan is also heavily involved with consulting for clients before the City of Tallahassee and Leon County Commissions. Prior to joining PinPoint Results, Bryan was Chief of Staff to Florida Representative Marti Coley (R-Marianna), serving as campaign manager for her campaign. He began his professional career working as committee staff in both the Florida Senate and Florida House of Representatives, where he worked on a variety of policy and budgetary issues. Bryan volunteers for Cards for a Cure and serves as a member of the Florida Association of Professional Lobbyists, Exchange Club of Tallahassee, Wildwood Church and the Florida State University (FSU) Boosters. Bryan is a graduate of FSU with a Bachelor of Science in Political Science. Bryan resides in Tallahassee, Fla., with his wife, Amanda, and their young son.